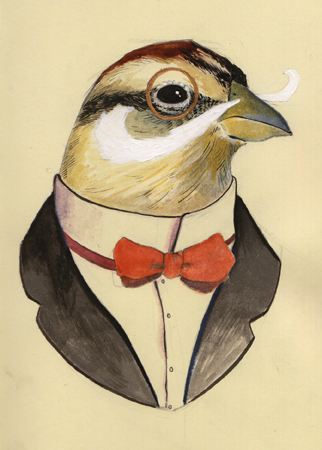 Sir Winston of the Lost Society of Bearded Birds. Ink, gouache and water colors in my sketchbook. 1 Response to Sir Winston of the Lost Society of Bearded Birds.